(1/11/2017) --- Playing for many years, almost 2 decades of playing Pokemon, players can see an evolution towards the game as well some of the backstory that mostly the game story-line is set on a post-apocalyptic world. We can see that on the first sixth generations there weren't many adults and much of the towns were underdeveloped, there were many orphans and widows and essentially society was being reconstructed. The seventh generation (Bulbapedia - Seventh Generation), shows a different world in which a rise of humanity has overcome decades of oblivion and people seem to be rising again from the destruction. Alola (Bulbapedia - Alola) focus on a society that is striving economically as well socially, people are visiting different places of the archipelago as well around the world. 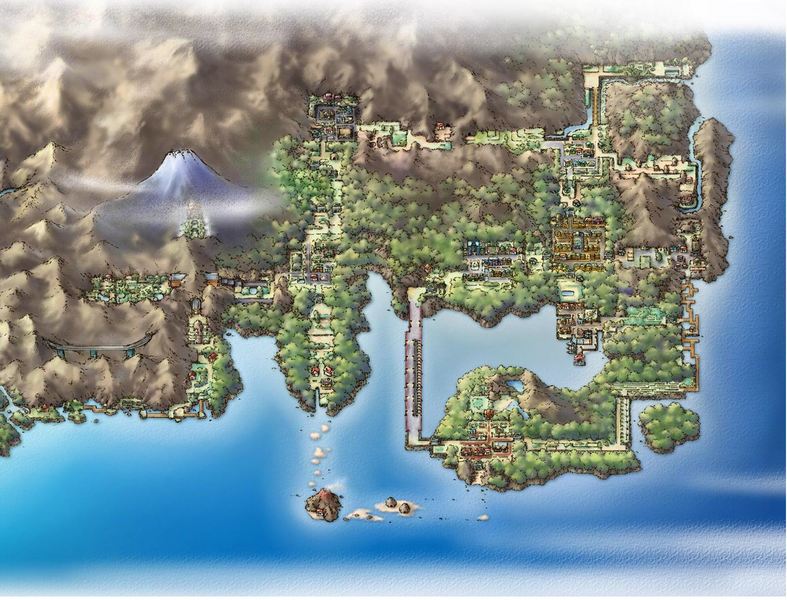 Albeit in Alola we get a more detailed orientation about the role of the Pokemon Professors, on Generation I the players can get obtain a detailed idea about the role they play on the society that collapsed. 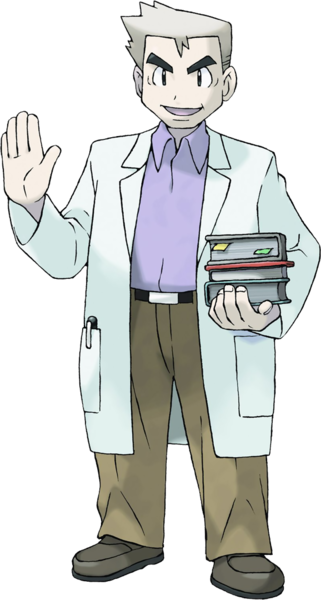 Professor Oak, could be the most prominent of the scholars that surround the society who live among the Pokemon's. The role of a Pokemon Professor goes beyond giving the starter Pokemon's to the player, it is a socio political role much keen to being a governor and it plays an impact on the development of the region. To understand more commonly the role, we can take a look on Professor Oak himself as well the impact he had between Johto and Kanto but as well around the globe. To understand Professor Oak we have to see him as a successful tactician and politician, besides his interest of relationship between humans and Pokemon's. He essentially organized two regions to share one common league or the Indigo Plateau, became a role model to Professor Elm (Bulbapedia - Professor Elm) who became the regent figure on the Shinnoh region. Why Professor Oak is such an important figure towards being some form of a celebrity within the Pokemon universe? Because he was one of the ones who placed an end to the war that separated Kanto and Johto but organized other professors to become the regents of their respective regions and the formation of their respective leagues. Essentially what Oak can be seen is, as the founder of a technocracy (Wikipedia - Technocracy) that gained momentum and influence around the world. There are no career politicians around the different regions, and there are no other influences towards the economical and educational development of the population with the exception of individuals who are dedicated to technological progress as well some corporations around the world. The world of Pokemon faces on an economical perspective a capitalistic problem, as the regions are oriented towards consumers and company relations towards spending; but, it gives a debacle between physical efficiency and cost of technology. There is an inflation around, products are on an extremely high price and the radius of the population versus income is despair for individuals to go and purchase technology that would let them travel around the world, at least on the first generation games; still, even towards the seventh generation there are hints that no many people can afford traveling or even going on a journey to compete against gyms and or trials in the Alola region. We still have to consider that if it wasn't for the technocratic movement that governs each region, there wouldn't be any economical developments and technological advancements on the regions; even on the Generation VII games we can see some developments that we will be talking on an upcoming entry. On the Sun & Moon games, the players can see with more detail the actual role of the professors and what is the influence they take on each region. What it was mentioned earlier, the professors act as governors and leaders of opinions, they essentially influence the structure of a region and how the nation would be politically organized even on how the trials would take place. It is interesting to see how can one person, is essentially in direct charge of many aspects that surrounds a cultural group but also on how they can promote their region for better. Kukui opposite to other scholars from previous generations is more of a showman, besides being dedicated to his research in move sets, he organized the Alola Pokemon League and acted as the first Champion, while being a public figure on the Pokemon Royal Battles (Bulbapedia - Pokemon Battle Royal) and keeping a relationship with his wife Professor Burnet. 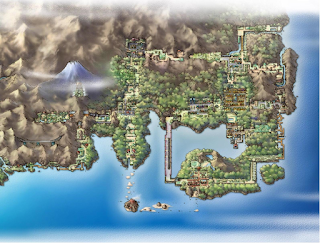 From a timeline perspective, we can interpret that the Alola region was the last region to fully developed socially and economically as it was independent located from the Kanto main land, which probably the Alola region politically speaking is on a separated continent from the previous generations which led a delay of having a league of their own. Kukui can be seen also as the man who opened the economical relationships further between the region and the other parts of the world by allowing immigration, and bringing new trainers in. Even so, it's easy to speculate based on how the professors interact with the player and how much others NPC's give information about the impact they had caused on their regions.